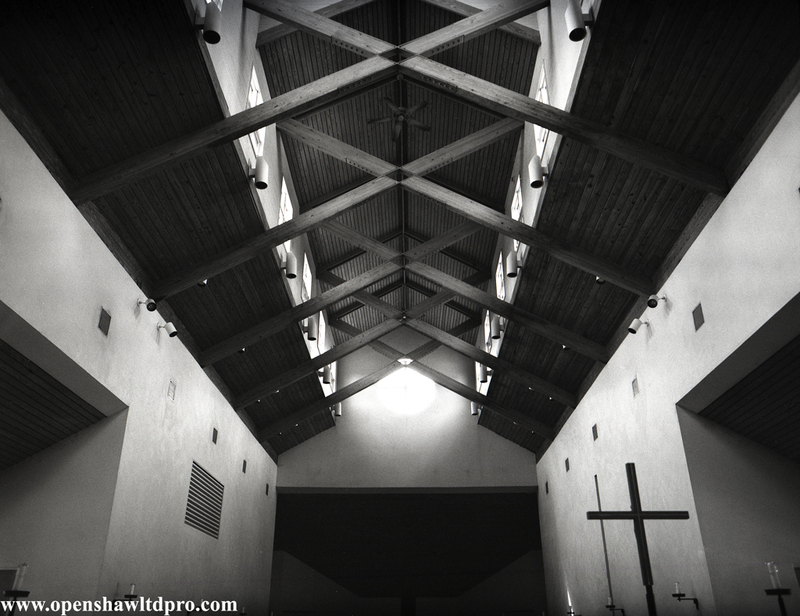 Welcome to Openshaw Ltd. Productions; a site containing all of the works (photos, audio, video, etc.) of yours truly, James B. Openshaw. You may browse through the site by using the menu bar at the top of the page. Also, check back every now and then for announcements listed towards the bottom of this page. 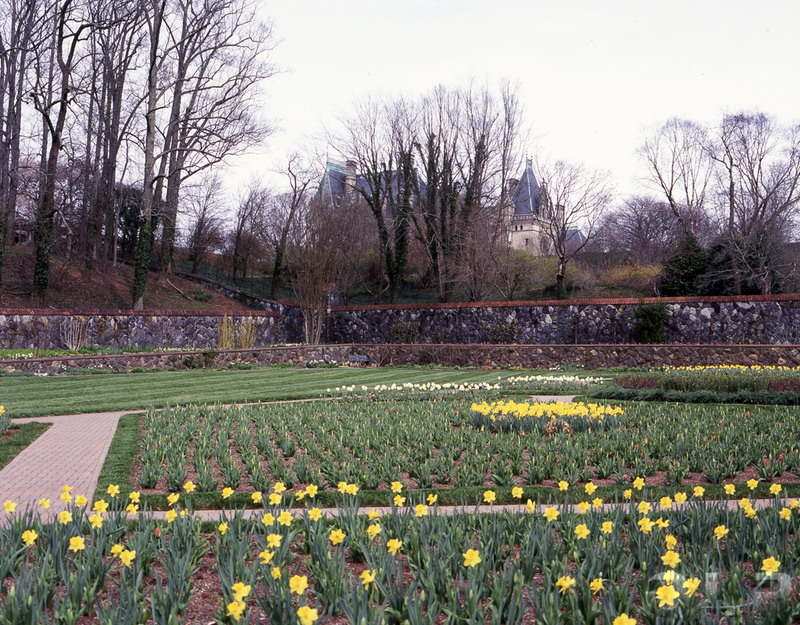 View of the Biltmore Estate from the gardens. Taken in Spring of 2018 using the Pentax 6x7 on Fujichrome Velvia 100. Photos of the Mepkin Abbey Monastery and Grounds photographed in Spring 2019 using the Pentax 6x7 using Black & White Film. Now available for viewing. New Fall Photos from the Blue Ridge Mountain Area now available. 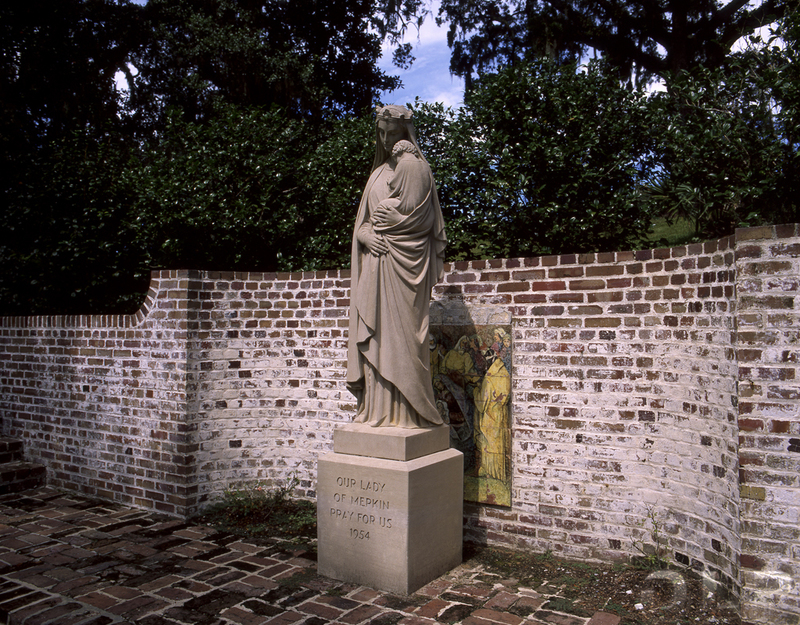 Photos of the Mepkin Abbey Gardens photographed in Late Summer 2018 using the Pentax 6x7 with Fujichrome Velvia Film. Now available for viewing. Latest acrylic painting completed in time for Halloween this year. Meet "Jack the Picker." 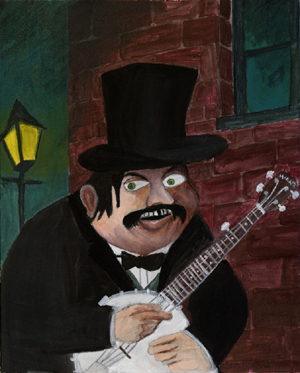 Similar to Jack the Ripper but this one is holding a banjo instead of a knife. New Photos of Lake Lure and Mill Spring in North Carolina taken earlier this Spring are available for viewing here.